A prankster put out a new product at Best Buy Stores in the Los Angeles area. The “Useless Plastic Box”. This reminds me of things my brother and I and our friends would have pulled off together. 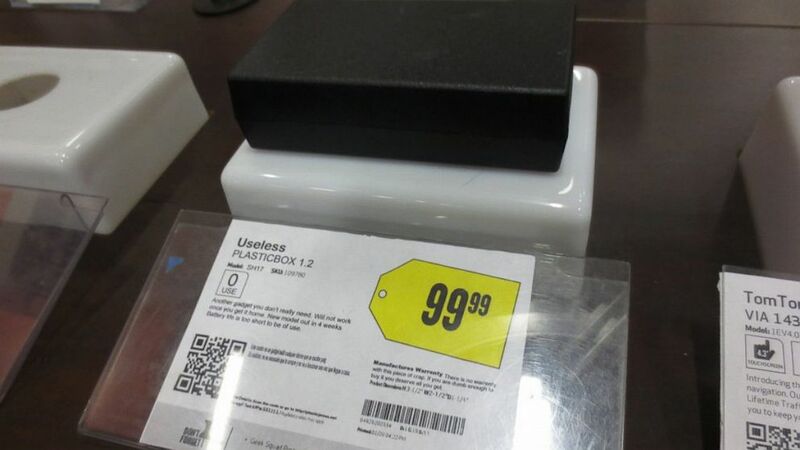 via Best Buy Prankster Puts ‘Useless Plastic Box’ On Store Shelves Across Los Angeles – ABC News.